Aquarium is marked by its emphasis on immersion and fluidity. For the film itself, those characteristics will be immediately apparent, and both the collaborative approach and music share them as well. 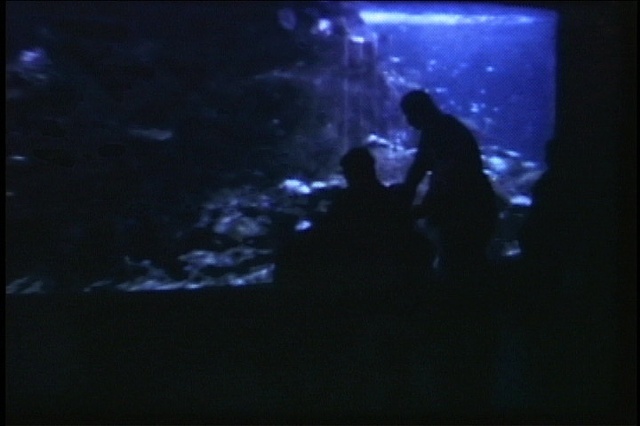 The Super 8 film was collected over a number of years from visits to several aquariums, and visually brings the viewer through a series of impressions from immersion in a dream-like, aquatic realm. The music is the result of interacting layers of improvisation and more fully conscious control. The source of all sounds is a set of improvised, experimental violin sounds produced by the composer some years ago, which were then manipulated by a software sampling program. Structural underpinnings in the film led to alignments at critical spots between image and sound, and also resulted in some unexpected outcomes.